How you can directly contribute to the fight against economic violence. In light of Donald Trump's decision to revoke critical protection laws allowing transgender students to use public school bathrooms of their choice, the hashtag #TransCrowdFund is gaining some new attention. J. Skyler created the hashtag in May 2016, after their employer stopped offering year-end bonuses. 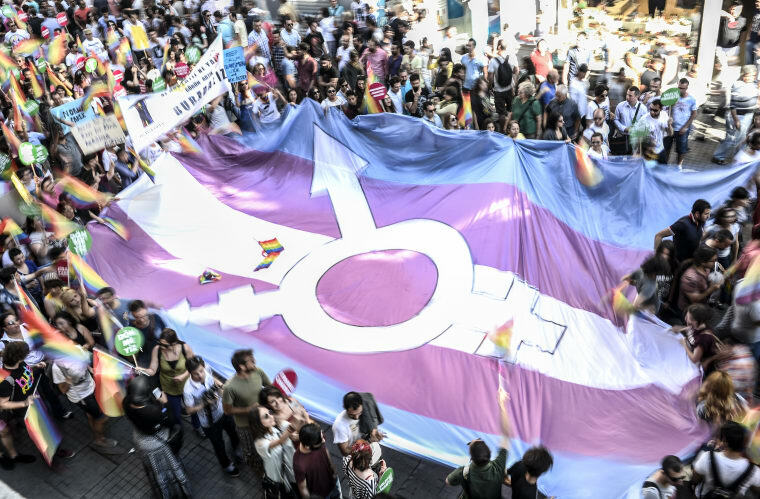 After creating an emergency fund on YouCaring to make ends meet, they started #TransCrowdFund to bring similar causes together in one place on Twitter. "There is a never-ending myriad of ways trans people face economic violence," J. Skyler told The Billfold in an interview. "#TransCrowdFund is a community effort for charitable and conscientious souls to help individuals in need and to give those individuals a greater reach." Skyler emphasized the importance of taking intersections into account: "It is important to emphasize that reparations should benefit the most vulnerable at the intersections of our community, which would be disabled Black trans women." They cited #DisabilityCrowdFund and #FemCrowdFund as other hashtags to consider, which are extensions of the original hashtag.